Update: Aishwarya is in Christian Dior Couture, Fall 08 and have added the runway picture. Thanks ‘Sweta’ and ‘Tehzeeb’ for the tip-off! Spotted Arpita Khan in the very classic Very Prive Christian Louboutin pumps. Love the shoes. Thanks ‘Bsimple’ for the tip-off! Update: Those are actually the Very Prive Platform Pumps. 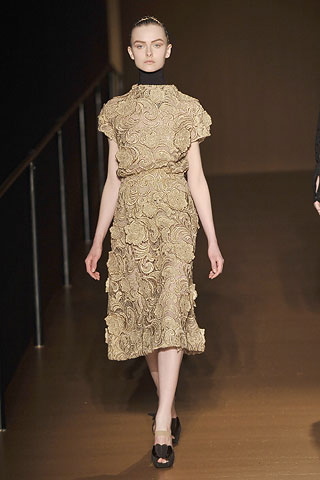 Turns out Natasha was in a modified Prada Fall 08 dress. Love. Thanks ‘Protyasha’ for the tip-off! 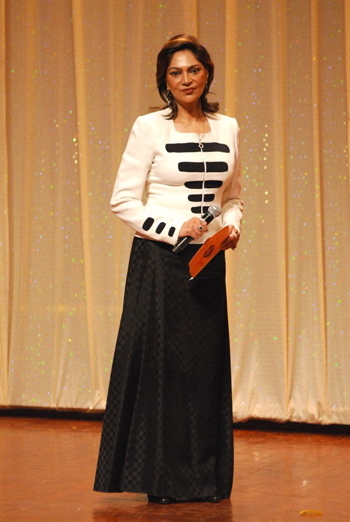 Simi Garewal does only black and white outfits, that we know. Which of the two you like, is something we don’t. So, tell us.